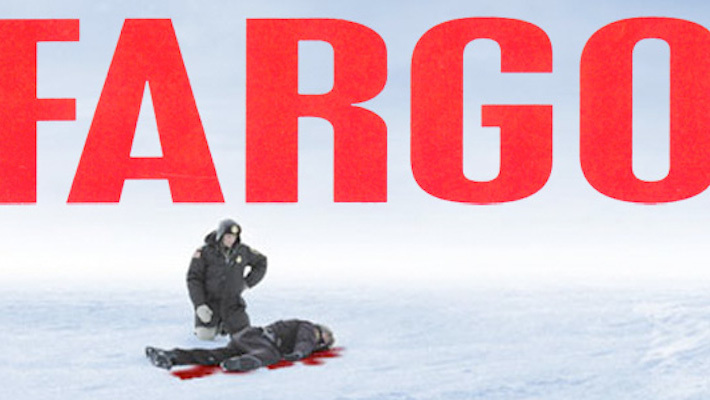 “Fargo”, Kinda Funny Film, Very Promising TV Series. Fargo’s an odd film. It shouldn’t work, but it does. Basically, it’s half of two films stapled together. The first two thirds is foot perfect, flawless story telling. Whose story is it? William H Macy’s. What does he want? To become a man, to give his life direction, to escape. But most immediately; the money. And what’s stopping him? Everything! His wife, the in-laws, the snow, lady luck, every single thing he does to solve his problems, they all come back to bite him. But principally, himself. It’s brilliant. But then, just after the hour mark, he’s about to take the money to the kidnappers. But his father-in-law grabs the case and he goes instead. And for the final third of the film, we follow the money á la The Yellow Rolls-Royce, as it passes from hand to hand. From the father-in-law, to the nice thug, the real thug and finally the police. Which should have been really annoying. But the film gets away with it because the secondary characters are so well drawn and so fantastically acted that you’re swept along. So what’s the problem? So what if it breaks the laws of drama, if we’re all agreed that the film works? 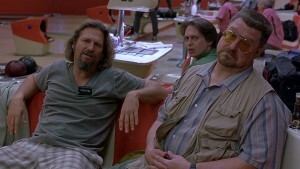 The Big Lebowski, 60 scenes in search of an ending. Well the problem is, it convinced the Coen brothers that they didn’t have to worry about conventionally structuring their scripts with anything as burdensome as a beginning, middle and end. So everything they’ve made since has been pants. Fargo (’96) was followed by The Big Lebowski (’98), which is a series of wonderful scenes, but just stops. It has no ending – try asking any of its fans what happens at the end, and see how long they take to remember. After which, we’ve had a series of increasingly forgettable films with no end of secondary characters, but stories which have just become thinner and thinner. O Brother Where are Thou? (’00), Intolerable Cruelty (’03), the Ladykillers (’04), Burn After Reading (’08) and True Grit (’10). The honourable exception, No Country For Old Men (’07), was, significantly, based on someone else’s story. 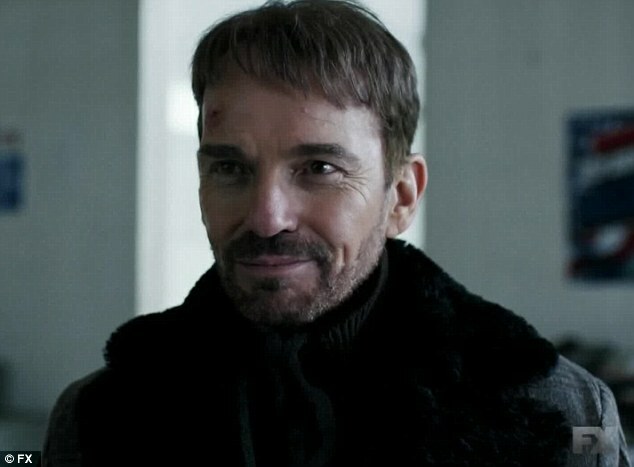 So turning Fargo into a TV series could have gone either way. Half way through the pilot episode, it looked as if it might have bitten off more than it could chew. As yet another body was added to the pile in what was a surprisingly gory opener. But they managed to tie up the many loose ends with impressive confidence by its close. Happily, the problems that bedevil their feature films are assets in a TV series. Those brilliantly drawn secondary characters that they get distracted by will have time to develop here. And forever postponing an ending is what all television series are based on. And impressively, they’ve managed to translate that very distinctive mood they so often succeed in evoking, at once threateningly eerie yet appealingly quirky. And then of course there’s Billy Bob Thornton. As, what? A sort of modern day and marvellously mischievous reverse image Jiminy Cricket. Prowling the town, quietly encouraging everyone he meets to follow their worst instincts. It’s on on Sundays on Channel 4. You can see the Fargo trailer here. Sign up for a subscription right or below, and I shall keep you posted every week on Al the Very Best and Worst in Film, Television and Music! Aretha, Otis, The Stones and the Musical Marvel that is Muscle Shoals. 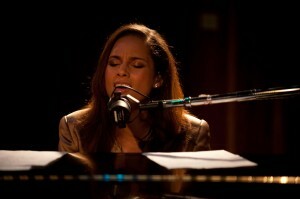 Alicia Keys in “Muscle Shoals”. In 1967 the 25 year old Aretha Franklin was a spent force. She’d been with Columbia for over five years and they hadn’t known what to do with her. So in desperation she left Columbia and signed up with Jerry Wexler at Atlantic Records. Wexler sent her down to a Mickey Mouse studio in Hicksville USA at the back end of beyond. He’d fallen in love with the sound he’d stumbled upon down there. It had a muscular depth and a primal resonance that was unlike anything he’d ever heard before. The first song she cut down there was I Never Loved a Man (the Way I Love You). Its B side was Do Right Woman. A little later they recorded her version of Otis Redding’s Respect. 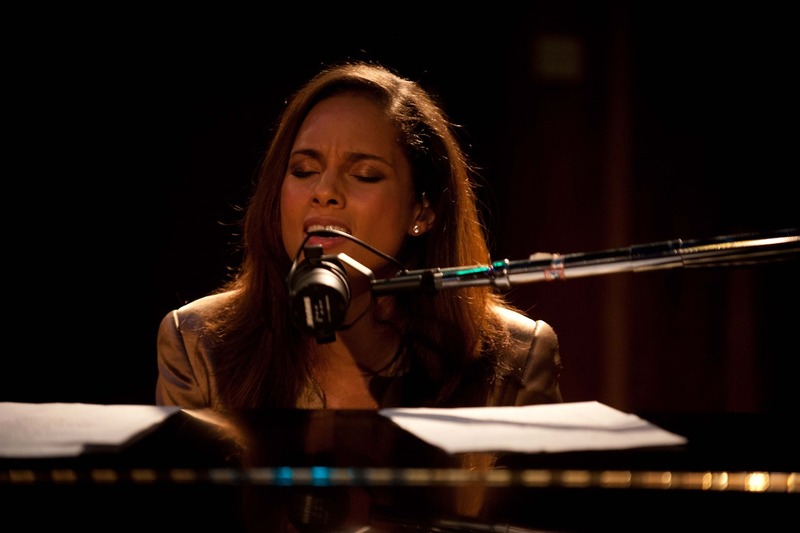 And then (You Make Me Feel) Like a Natural Woman. Wexler sent the fiery Wilson Pickett down. He arrived incandescent with rage to discover that this Palookaville studio was, literally, next door to a cotton field. What’s more, inside he found five skinny white guys who looked like they’d be more at home behind a bank desk than in a recording studio. These were the guys that were supposed to be making that sound! And then they started to play. He recorded Land of 1,00 Dances, Mustang Sally and his extraordinary version of Hey Jude. He was sold. “The Swampers”, the white guys that made that black sound. So was everybody else who arrived there. Otis Redding, Etta James, Candy Staton and Clarence Carter. The Stones recorded Wild Horses and Brown Sugar there. When Wexler encouraged the rhythm section to set up a rival studio across the road, far from causing its downfall, Muscle Shoals now had two competing studios desperately looking for the next hit. And everybody wanted to record there. Dylan, The Stones, Rod Stewart, Paul Simon, Lynyrd Skynyrd, the Allman Brothers, Jimmy Cliff, The Osmonds, Paul Anka, Tom Jones, Any Williams, Linda Ronstadt, Willie Nelson and more recently George Michael, Band Of Horses, The Drive-By Truckers and The Black Keys. And many, many more. 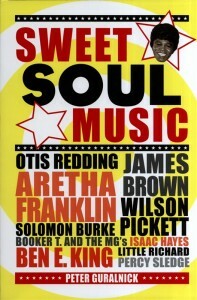 Peter Guralnick’s “Sweet Soul Music”. 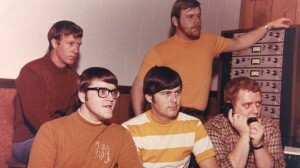 Rick Hall was the skinny white kid who set up Fame Studios in Muscle Shoals, Alabama in 1963, inviting four or five of his white friends in their early twenties to come in and record with him. It became a rare racial haven in the heart of the South. And, together with Stax and Atlantic Records, they produced some of the best and most important American music of the 20th century. 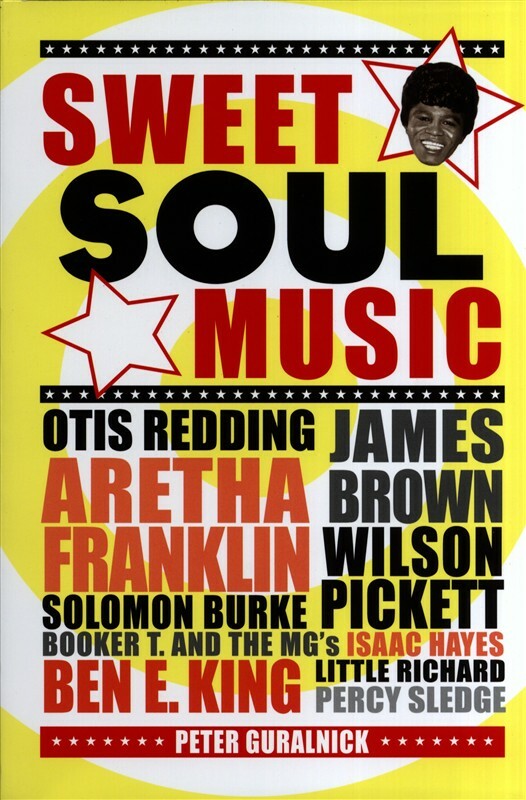 You can read about it in Peter Guranlick’s seminal Sweet Soul Music (you should read anything you can get your hands on by him), which marries social and musical history to perfection. 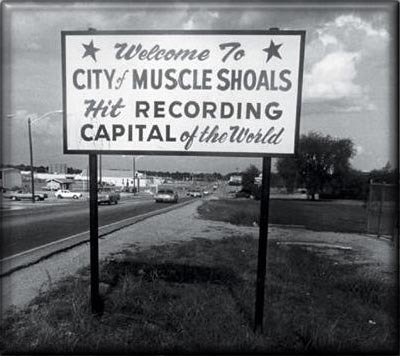 And you can see and hear about it all in the wonderful documentary “Muscle Shoals”, which is part of the BBC’s Storyville series. You can see the trailer here. 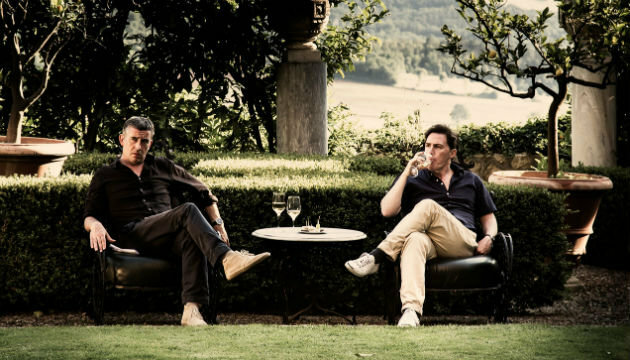 Steve Coogan and Rob Brydon’s “The Trip To Italy” on BBC2. Few people noticed when The Trip slipped unobtrusively onto our screens in 2010. A couple of quite famous comedians are sent off on a brief drive around England to knock off a couple of celebrity restaurant reviews. In retrospect, as an idea, it was pitch perfect. Superficially, it provides an excuse for a couple of genuinely funny comedians to strut their impressions. But beneath that, and much more interestingly it was a portrait of two men in the latter stages of their middle age trying to get their head around the unbridgeable gap between what were once their hopes and dreams, and what they’ve actually done with their lives. No longer on the menu. This is made all the more fascinating by the fact that for many of us watching, what we dream of is ending up exactly where they are. On the other side of the screen. They have made it. What was so wonderfully dark about that first series was its exploration of what exactly “it” is, and whether the two in question really have got there. The second series kicked off on Friday. Inevitably it wasn’t quite as sharp or as dark as the first. The Trip to Italy is no longer the secret it once was and the budget and expectations have shot up. So there was a nervousness to the first episode as it tried just a little too hard to please. But at the very end of the episode they both stood there looking over at a couple of pretty young girls. They’re not even threatened by us, they mused. We’ve become uncle material. What was so impressively dark about this, was that it was delivered absolutely straight. Series 2, now in Italy. It was completely and genuinely free from any sense of irony whatsoever. And yet at the same time, you just knew without in any way having to be told, that deep down neither of them believed it. When somebody next asks you what you mean by less is more, these two performances are as good an example as you’ll have to offer. Brilliantly acted and unobtrusively directed by Michael Winterbottom, series two promises at the very least to be consistently if gently amusing. Hopefully, nice and quietly, it’ll continue to be as brilliantly dark. The Trip To Italy is on Friday at 10pm on BBC2. Here’s a brief clip. Farhadi’s “The Past” Boasts Immaculate Performances from Young and Old. Asghar Farhadi is one of the few genuinely exciting film makers working anywhere in the world. The Past is his sixth film and the first he’s made outside of his native Iran. The good news is, The Past is a lot better than that would suggest. Bejo has asked her estranged husband to come back to France to sign the papers on their divorce, without filling him in on the details as to why she now needs it. And over the course of the next few days he and we slowly learn of why it is that Bejo’s teenage daughter is so unhappy with her mother, her new man, and how they came together. As with About Elly and A Separation, Farhadi’s ability to carefully tell his story, slowly revealing its meticulously positioned plot points is unrivalled. And all the performances are outstanding. Bejo, who shot to fame in 2011 in the inexplicably lauded The Artist reviewed here, is a revelation. Ali Mossafa is superb as her former husband, but most remarkable of all is Alyes Aguis who plays the 5 year old son of her new man. All three children – the two children plus the teenage Lucy – give the kind of extraordinary performances that French cinema somehow excels at. 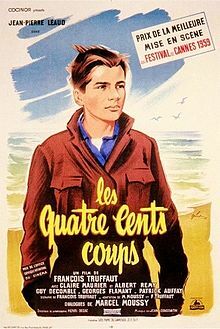 And The Past is part of that proud tradition of films from the likes of Francois Truffaut and Louis Malle which explore the world of adults through the eyes of children, rendering their vistas all the more moving because of the performances they manage miraculously to coach from them. But it would be disingenuous to pretend that The Past weren’t ever so slightly disappointing. The momentum dissipates in in its final quarter as the focus shifts from the former husband to the new man. And instead of building to some sort of conclusion, it quietly comes to a halt. By any other standards though, this is a must see. Even if in years to come it’ll be looked back at as a minor Farhadi, rather than one of his key works. You can see the trailer for The Past here.